Of all the legends about lost and found, and lost again treasures in the Southwest, there is none more mystifying than the enduring tale of a large sailing vessel which lies, full of riches, somewhere in the restless sands of California’s Salton Sea basin, toward the northern end of the Sonora Desert. Implausible as it sounds, the wreck of an ocean-going ship 100 miles or more inland from either the Pacific or the Gulf of California, the story has persisted for centuries in reports from Indian peoples, Spanish explorers, prospectors, migrants and treasure hunters. How could a ship come to rest on desert sands so far from salt water? 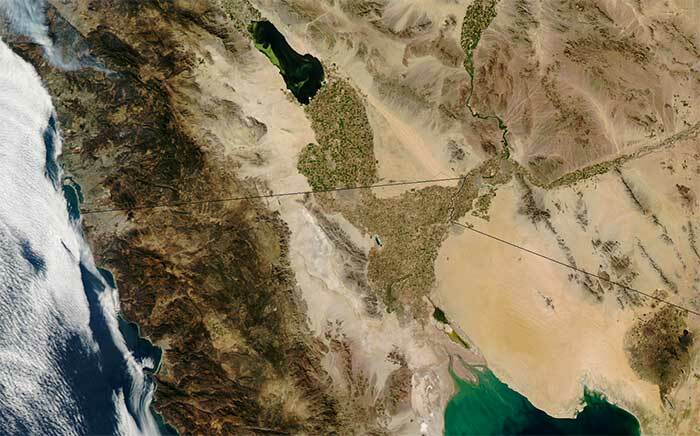 One explanation holds that an exceptionally large tide from the Gulf of California may have collided with an exceptionally heavy runoff from the Colorado River at the delta, producing a flood which broke through the land barrier to the Salton Sea. 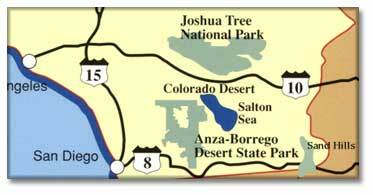 The cresting waters could have carried a ship over the natural dam and down into the Salton Sea basin. The flood would have then retreated, leaving the vessel stranded. It would seem most likely that the ship, if it exists, would be a Spanish vessel, but some have speculated that it might be a craft from the navy of King Solomon, or the 10 lost tribes of Israel, or a warring people from the Indian Ocean, or a band of pirates. Sand and more sand, it will be hard to find. In an alternate story line, which appeared in Antonio de Fierro Blanco’s book, The Journey of the Flame, a celebrated Spanish coastal pilot named Iturbe sailed his 50-ton, pearl-laden ship from the Pacific through a natural channel into the Salton Sea in the year 1615. He hoped to find a passage  the fabled Straits of Anian  to the Atlantic. After three months, he gave up the search. When he tried to return through the natural channel to the Pacific, he found that a powerful storm had triggered a mud slide, which blocked his escape, or  in another version  the waters of the Salton Sea had fallen, leaving his ship stranded, her keel buried in a sandbar. Iturbe had to abandon his vessel  standing upright as though she were still under sail  and the great treasure. A century and a half later, according to Fierro Blanco, a mule driver named Tiburcio Manquerna, who accompanied the famous Juan Baptista de Anza in his search of a land route from Sonora to Alta California, claimed that, "I was sent to the right of the course, seeking a road to the ocean. Traveling by night because of the heat, I stumbled upon an ancient ship and in its hold were so many pearls as is beyond imagination. Fevered by this wealth, I took what I could carry, abandoned my comrades, and riding toward the ocean as far as my mule could carry me, I climbed the precipitous western mountains on foot. Fed by Indians, I at last reached San Luis Rey Mission. Since then I have spent my life searching for this ship." While in the camp of Don Firmin Sanhudo, a Spanish explorer, Manquerna whispered the story to Juan Colorado, who finally revealed the secret on his 104th birthday. In a puzzling conclusion to the story, Fierro Blanco said, "I have known, as a boy, natives from every tribe on the [Baja California] Peninsula, and they taught me much of great value but never did one lie to me. Some of their stories I did not then believe, but each as tested proved to be true in all parts." In yet another story, this one published by the Los Angeles Star on November 12, 1870, a man named "Charley Clusker and a party started out again this morning to find the mythical ship upon the desert this side of Dos Palmas [located on the northeast side of the Salton Sea Basin]. Charley made the trip three or four weeks ago, but made the wrong chute [sic] and mired his wagon fifteen miles from Dos Palmas. He is satisfied from information he has received from the Indians that the ship is no myth. He is prepared with a good wagon, pack saddles, and planks to cross the sandy ground." The Star printed another story a few weeks later, on December 1, saying that "Charley Clusker and party returned from the desert yesterday, just as we were going to press. They had a hard time of it, but they have succeeded in their effort. The ship has been found! 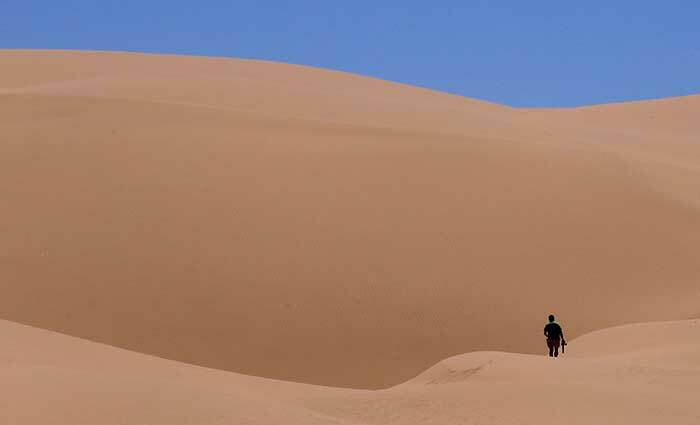 Charley returns to the desert today, to reap the fruition of his labors. He was without food or water, under a hot broiling sun for over twenty-four hours, and came near perishing." Apparently, Clusker did indeed set out again for what he described as an ornately carved Spanish galleon, complete with crosses and broken masts, mostly buried in the sand several miles from the nearest water, but no one ever heard from Charley Clusker again. The question remains: Is there a lost ship in the desert sands of Salton Sea? It seems like a fantasy, a scene from Gilbert and Sullivan’s Pirates of Pensanze, but the persistence, similarity and endurance of the story in both Native American and frontier lore cannot be completely discounted. Perhaps one day, when the right conditions of wind and shifting sands combine, an ornately carved hull and a mast of a Spanish galleon, filled with treasure, will emerge from its dusty tomb. View our forum page on the lost ship in the desert to see what other readers have to say.